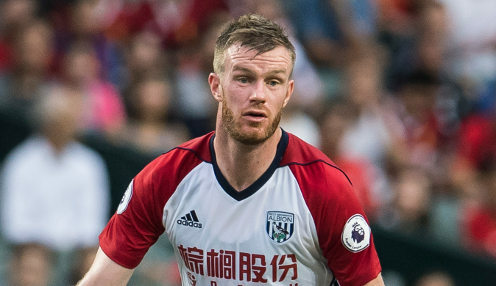 Chris Brunt hopes that West Brom can learn from the mistakes they made against Bolton Wanderers when they take on Nottingham Forest on Tuesday. After suffering relegation from the Premier League last term, Albion were expected to challenge for promotion this season but suffered a shock 2-1 defeat to Bolton on the opening weekend of the campaign. Brunt has demanded a big reaction from the Baggies players when they take on Aitor Karanka's team, who have spent heavily on new players over the summer. Albion are 15/8 to win at The City Ground and 3/1 to be promoted from the Championship this season while Forest are 750/1 to go up. "It helps with the next game coming quickly," said 33-year-old Northern Ireland international Brunt. "You have to move on. You don't have much choice really. "That's the beauty of this league. You can never dwell on anything too long, get too high or too low. "Hopefully we'll learn from the mistakes we made on Saturday because for the majority of the game we were dominant. We had a lot of the ball." West Brom completed the loan signing of Newcastle United striker Dwight Gayle on Monday while Salomon Rondon has moved in the opposite direction.